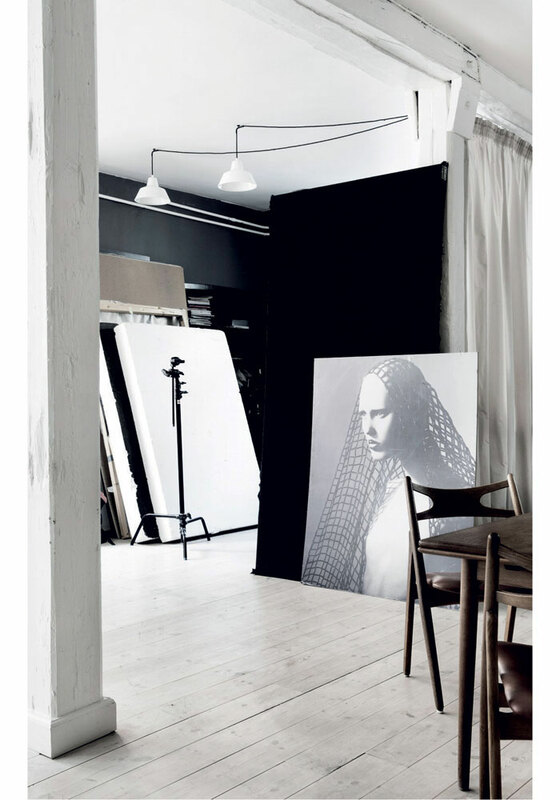 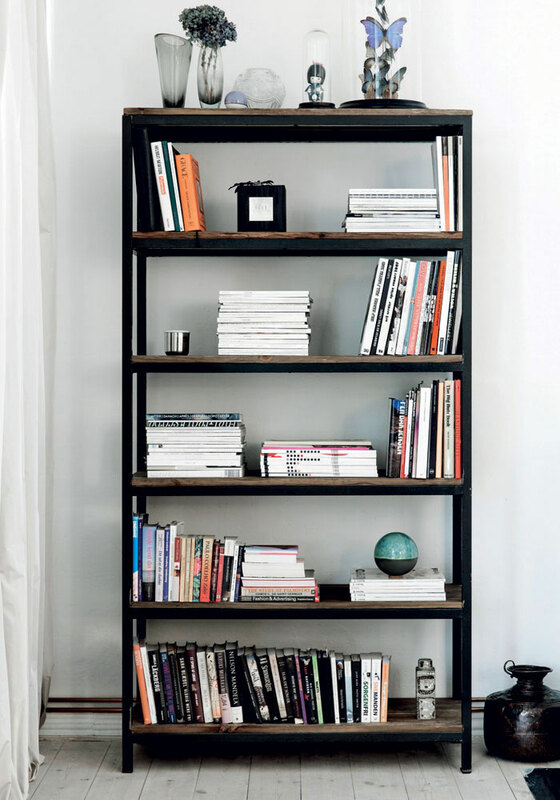 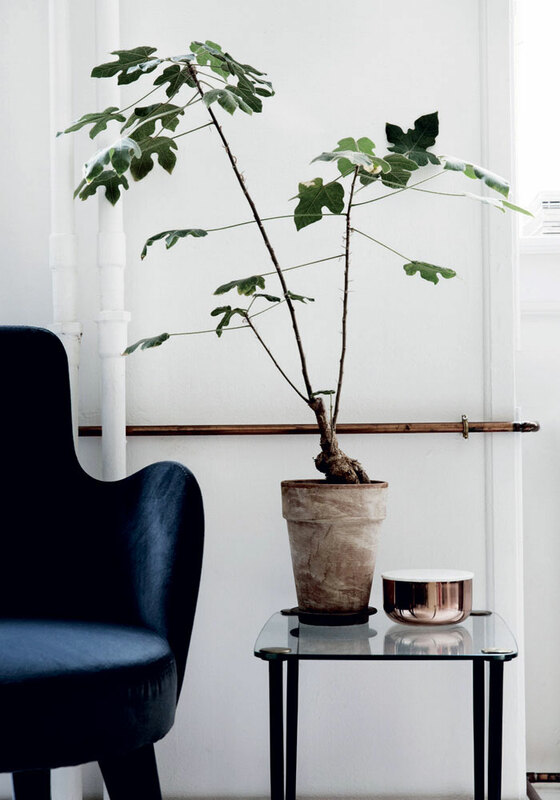 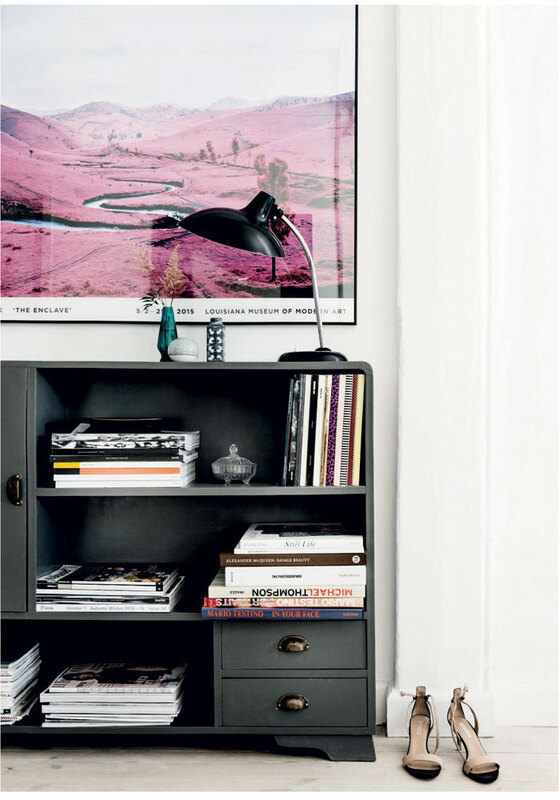 This is the lovely home of makeup artist Anne Staunsager and photographer Michael Regards. 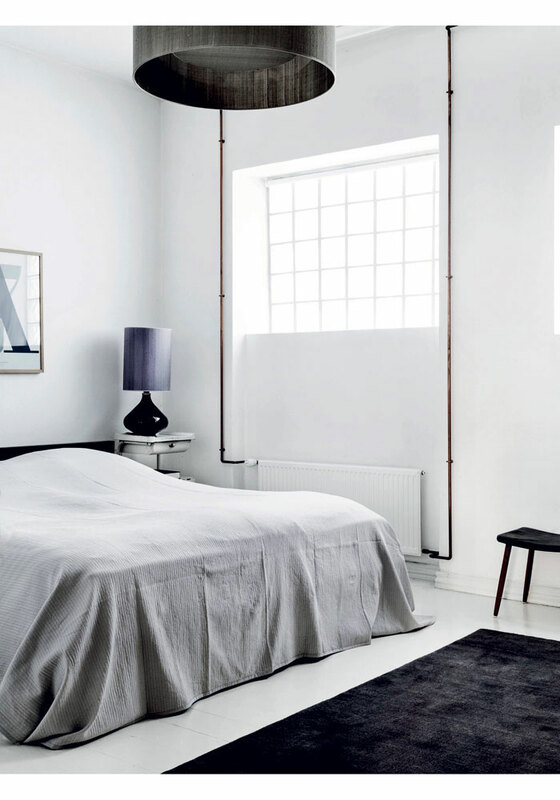 The spacious apartment is located in an old toy factory building in Copenhagen, and an industrial touch was preserved to stay true to the place’s past. 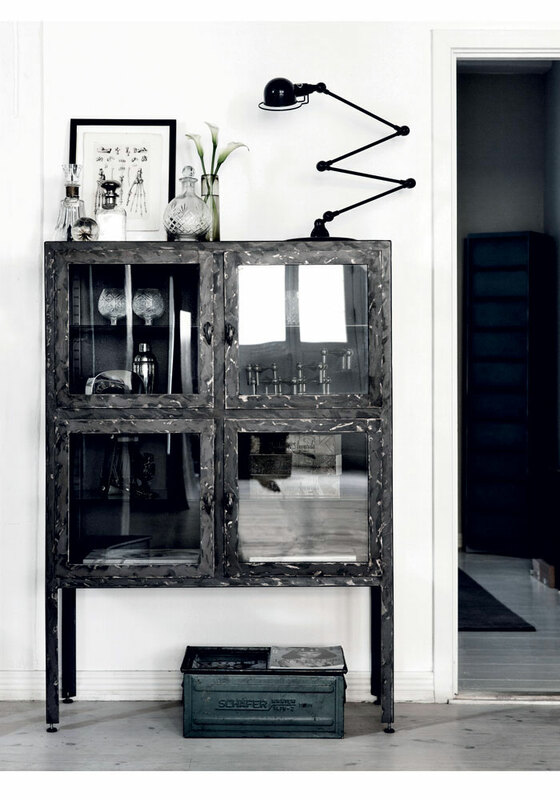 The interior is well-curated and furnished with taste, with a definite attention to detail and a cool vibe. 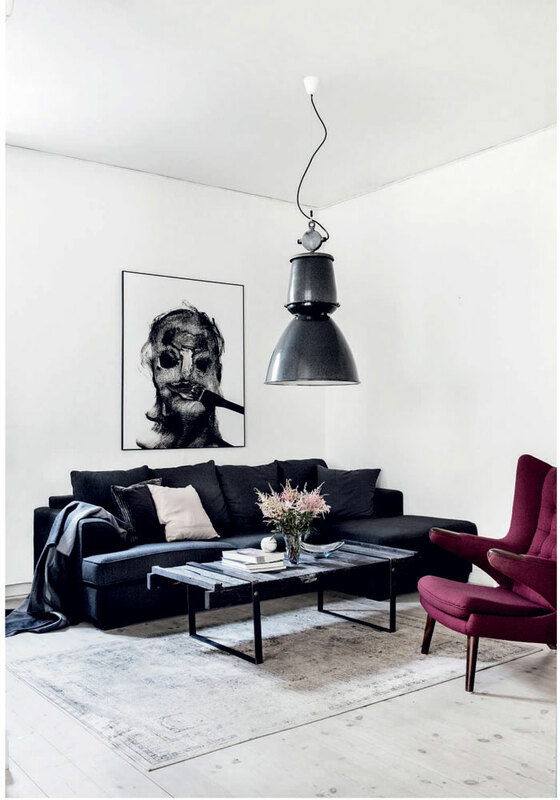 Several vintage finds contrast beautifully with the contemporary design pieces, and the overall eclectic style is on point. 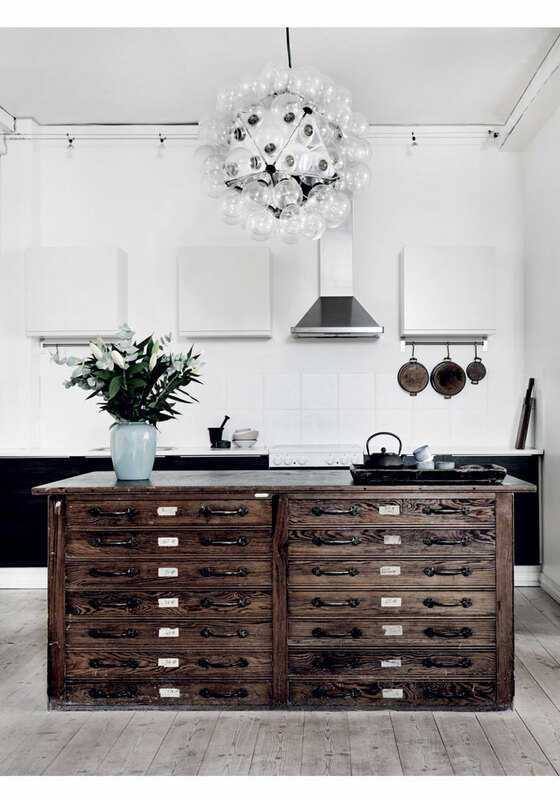 The idea to use an antique chest of drawers as a kitchen island is pretty great, right? 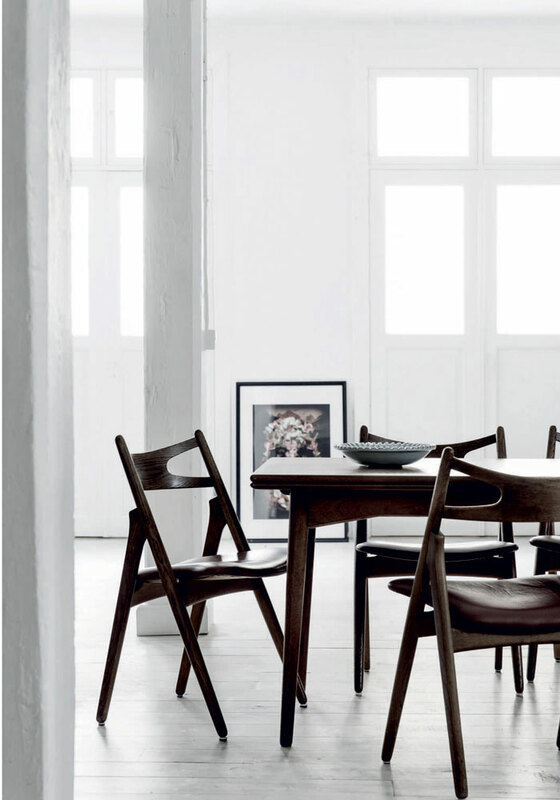 I’m loving it!